In an effort to create a protein that stuck together and had a, dare I say, “meatier” consistency, I went ahead and altered my chick pea burger recipe. Just another experiment with a fancy name! The mix should stick together well; it shouldn’t be a hard ball, nor a runny pancake, more of a fritter consistency. If it’s too dry, add a splash of almond milk. If a little too wet, add some more flour a little at a time. I knew there were many varieties of orchids, but I had no idea there were sub categories as well with an amazing span of beauty and characteristics. I’ve always been a fan of orchids, possibly because they’re supposedly hard to maintain, something I relate to. This past summer I became obsessed with finding an orchid in the wild in Connecticut. Something I thought impossible, especially considering the extinction CT orchids like the lady slipper are facing. On a walk with the man of my dreams the other day I came upon a vibrant lady slipper, sitting off to the side of the trail among fallen leaves. We had stopped to sip water and I happened to look over and see this rare flower, I couldn’t believe it. We took many pictures and continued exploring, we will go to the Airline Trail again very soon! It is illegal to uproot or otherwise destroy a lady slipper, take pictures and leave it be. 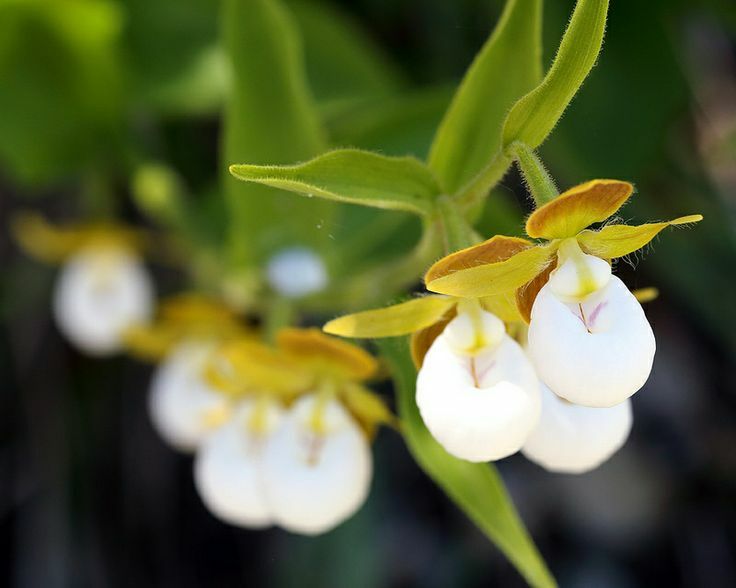 This resilient slipper can be found in most of Canada, New England, and the Great Lakes area. 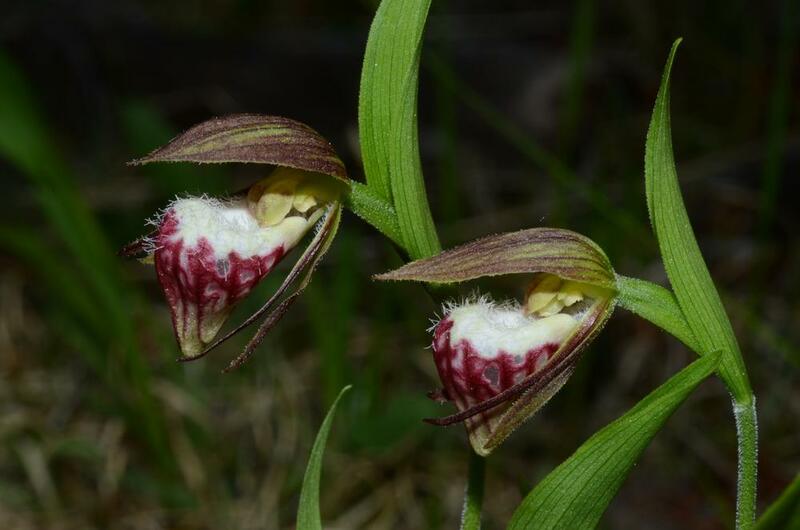 It is commonly referred to as the Ram’s Head Lady Slipper. Often found in clumps or groups, this lady slipper has been known to hold up twenty one flowers on its single stem. We’ve been very interested in specimen tanks lately. It started with a beta, then some zebra danios, a cory catfish, plants, snails, and finally…dwarf puffer fish. They’re the size of the last knuckle of my pinkie, they swim to the front of the tank when my fiancé walks in the bedroom, their eyes move in different directions! They are curious and aware, at first glance they appear bland and brownish in color. Upon further inspection the deep greens and bright yellows appear, their spots are a s varied as their personalities and we’ve watched their colors darken and brighten depending on their mood. Dwarf puffer fish can be found wild near shores in India and they are endangered because they are collected to sell as pets. In the pet store, you can ask if they were caught in the wild or bred in captivity. The puffer fish has a big personality, think Napoleon Complex, and can be a bully with their tank mates. For this reason they are often kept in a separate species tank, but please n ote we have had success with keeping a cory catfish in the tank, they actually snuggle! Their diet consists of small animals like copepods, krill, and especially snails; we use rams horn, pond, and Malaysian trumpet. All of these snails are considered pests, you can go to the pet store and ask for some “pest snails”, they’ll often give you them for free. 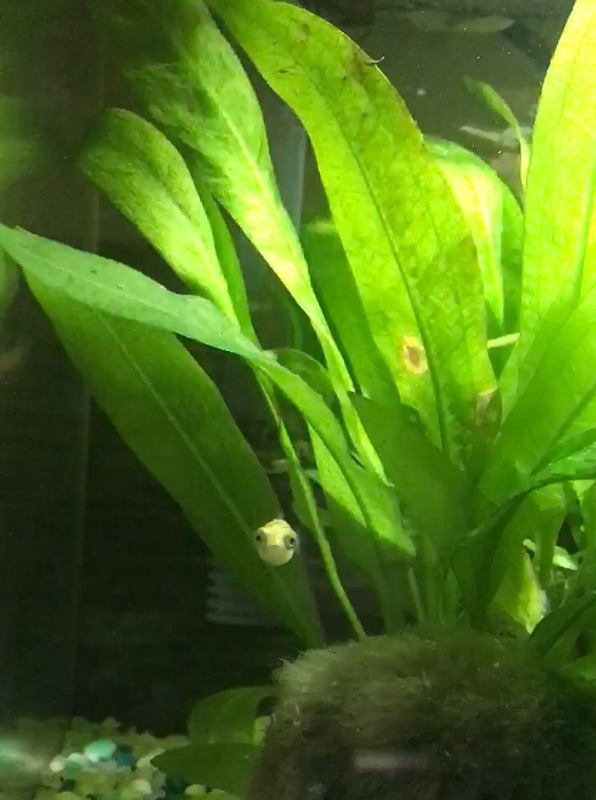 We set up a snail breeding tank and haven’t had to worry about our puffers eating (they can be picky and can easily starve). Some say that flakes and pellets are fine but these guys are hunters and if you want healthy puffers, give them something to chase! Pictured below are some rams horn snail eggs, we noticed one of our larger snails clinging to one spot for much longer than they usually do (you’d be surprised how much these snails move). After a while it had disappeared and left behind the eggs pictured on the left. On the right is about a week later, almost ready to hatch! 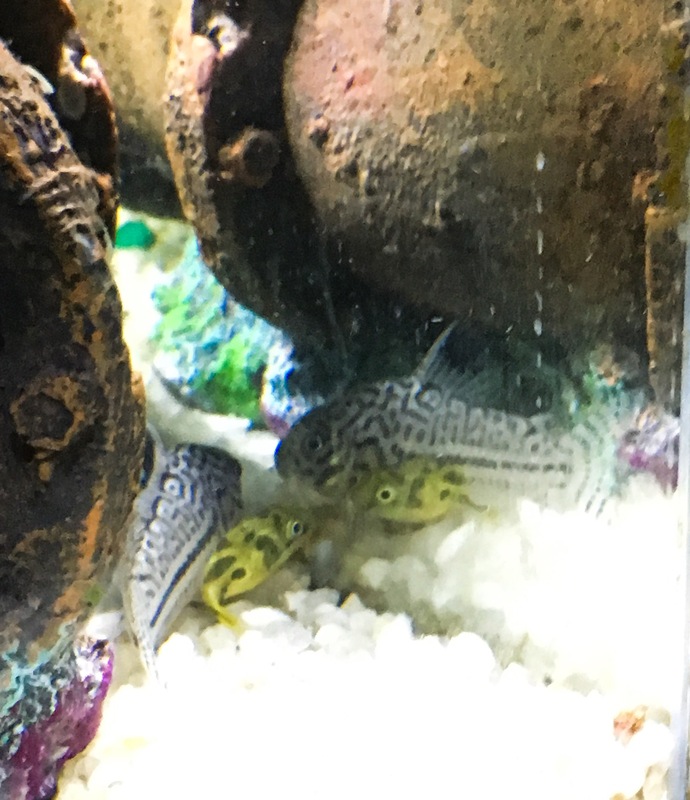 Our puffers have become our hobby, all four of our tanks stemmed from the purchase of these two, trying to get their tank mates just right (none but the cory catfish worked for us), water changes at least once a week. While it’s difficult setting up their initial habitat, once you have your tank ready puffers are quite simple to take care of. I was looking for a creamy sauce to mimic alfredo that I could eat with a spoon (I mean pour over real food), after some experimenting here’s what happened. Note: because this sauce is so fatty theres lots of potential to burn, it needs to be watched and stirred gently and consistently throughout cooking. I find it’s a perfect assignment for my tiniest or most inexperienced helpers. Get your helper and ingredients prepared, things move quickly with white sauce! I like to toast it a little extra, browning the flour a bit, in gravies that gives a little more flavor and I assume the same concept applies. Lots of recipes recommend using a faux chicken of sorts; I am a firm believer that the less manufacturing food goes through, the better. Because of this I buy lots and lots of raw ingredients that I then “process” myself by turning into soup or veggie burgers etc. In this situation, I beefed up (excuse the pun) my veggies to create a filling dinner. Prepare your biscuit dough! I make two cups worth with this recipe. If using almond milk (or any fatty milk); pour in a tablespoon of vinegar and allow to sit for a few minutes, it’ll curdle and make butter milk. Gives the biscuits a little more…woomph. This is your mirepoix; the base of many soups made up of portions of carrot, onion, and celery. The termed was coined in the eighteenth century but it was probably used well before. This combination for soups is actually seen in many cultures called different things. In Spain it’s called sofrito, Portuguese speaking countries call it refogado. Italy has a sofrito as well which is a mirepoix base with spices and finely chopped meats. Other variations include garlic or peppers; they all have the same goal in mind, creating a flavorful base with nice bits of brown stuff on the bottom of the pan to add complexity and depth to your soup, yum! The flour and oil (or another fat of choice) make up your roux: this thickens the sauce and has been in use in French cuisine for over three hundred years. This method crosses cultures but without variation, fat and flour simply add up to deliciously creamy soups! Spread your drops out in a rotation, it gives the dough enough time to cook so when your fresh dough drops come back around they won’t stick together. Keep an eye on your temperature, you want a light boil and the lid off slightly. I have a tendency to over boil this once in a while and I get a huge overflow and mess to clean up. Cook for twelve or thirteen minutes, I constantly take taste tests to see how done they are but I’m always full by dinner. Serve it up; this recipe is adapted from my mother’s originally and various sources throughout the internet. A basic crowd pleaser and a comfort meal for any time of the year (although my mother refuses to cook it between March and September because it’s a “winter dish”). Came home from the store the other day and realized I bought a second pound of sweet potatoes and hadn’t even touched the first! What a bummer…unless you love creamy root vegetable soups.